Lets talk about Towel Radiators!! As we say goodbye to summer, and start to move into the colder months of the year, thoughts go from topping up our tan in the garden to keeping warm and toasty. Central heating systems are cranking into life and we rely on our radiators to do their job. Most of us will start our day in the bathroom, and having reluctantly peeled ourselves out of a warm and cosy bed, it is here that we look to make things as comfortable as possible - particularly when stepping out of the shower or bath. Imagine a warmed towel to wrap around you - this will really chase away those winter blues! However, with the seeming never ending range of towel radiators available, from wide, to thin, to tall, to thick - not to mention the different materials they are manufactured from, it can make it difficult to know where to start....This blog is therefore to assist you with this choice. A good starting place is the Traditional Towel Rail - these are versatile in their style and therefore look great in either traditionally designed rooms, or even in a room with a modern twist. Below we have the Reina Oxford (left). This is a fantastic design, which incorporates the Column Radiators within chrome bars. In the centre we have the Aeon Tudor - a simple and elegant design. And then on the right we have the Reina Kensington, a floor-standing beauty - perfect for those towels and clothes. 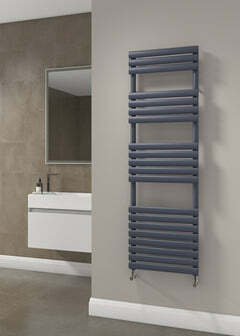 Here we will look at the opposite end of the spectrum, the ultra modern, sleek Modern Towel Radiators. There is such a great choice that there is something to suit everyones taste here. Above on the left we have the Reina Dynamic, a vibrant design with the added benefit of having a mirror set in the centre - a useful feature. In the centre is the very luxurious looking Reina Deno with lovely thick polished bars. And on the right the Reina Pizzo - a brilliant take on the ladder design. 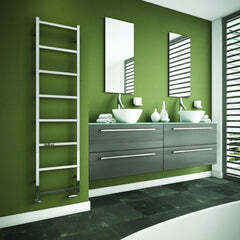 Stainless Steel is the best quality material that a radiator can be crafted from. The quality is reflected in its long lasting guarantees from 20 to 25 years. 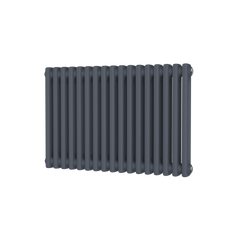 This is a radiator that is built to last. It will look the same years down the line from when you bought it. It won't rust, won't have flaking material, nor will it corrode, and it looks reassuringly stunning. Now we come on to Electric Towel Radiators. One of the greatest benefits that an electric towel rail can offer, is that it can be installed in places where it is difficult to connect the central heating system to. Therefore, even if your bathroom isn’t connected to your main heating system you can still enjoy the comfort of stepping out the shower into a warm room with hot, dry towels and clothes. Or you can get one with an electric radiator option and then add on the pre-filling, the electric element and then the valve you require. So hopefully we have given you a few ideas. 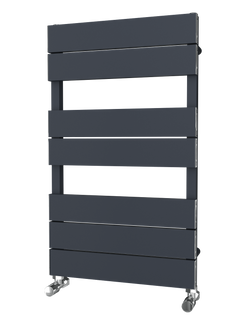 If you have any questions on what is the best towel radiator for you, please feel free to contact our experienced team via email on enquiries@greatrads.co.uk, or on our customer service no. 0845 094 6015. Finally, if you haven't done it already, then it is always better to be safe by having your boiler serviced before firing it up for the winter. The best place to find qualified Gas Engineer is the Gas Safe Register. Here's to us all keeping cosy and warm this winter!